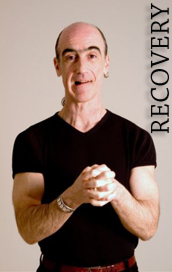 Tim has enjoyed 20 years of sobriety and is an active member of several recovery organizations. When comedy and recovery come together, it can be a powerful and meaningful experience. Koslo certainly does not disappoint. He has performed at conventions for Alcoholics Anonymous, Cocaine Anonymous and Narcotics Anonymous across Canada for years now. While performing at fundraisers and adult shows on First Nation Reserves, Tim also tries to fit in presentations at high schools and colleges. He is currently negotiating a possible cross-Canada youth targeted tour with the Canadian Liver Foundation and is hoping to extend his work with the foundation into prisons and penitentiaries across Canada as well. "Tim, I am writing to you to underscore your careful attention to detail in preparing for and presenting at our recent AADAC Fund Agencies Executive Directors Meeting." "An 8:00am gig to a group of executives can be a challenge! You made it look easy and you were so very very funny. Thank you for you professionalism"
"What a breath of fresh air! Your show was a rapid fire barrage of street comedy and program related material that warranted the standing O you received."